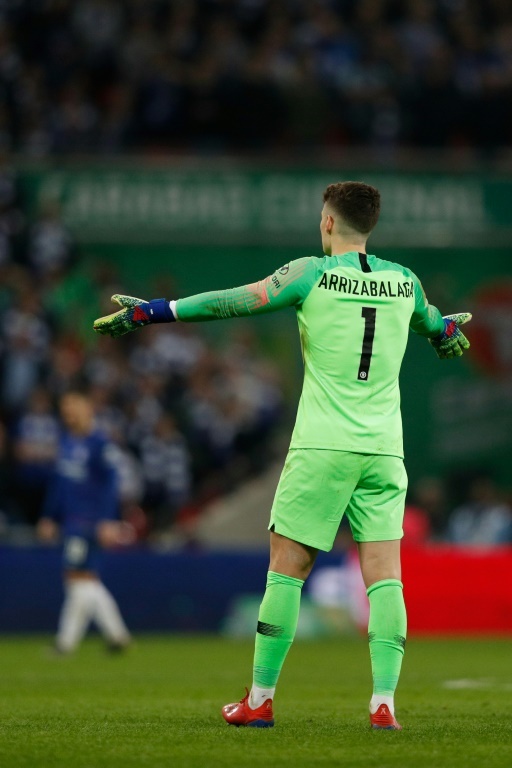 Sarri was furious when Kepa refused to be substituted after needing treatment in the closing stages of extra-time against Manchester City at Wembley on Sunday. 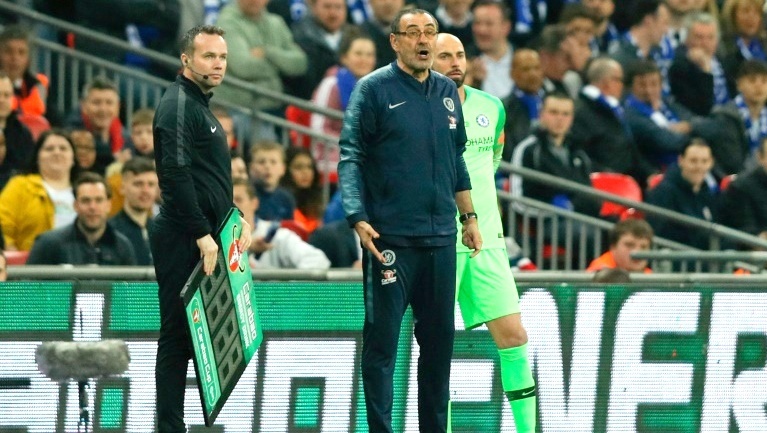 Chelsea eventually lost 4-3 on penalties after a goalless draw, but it was Kepa’s rebellious behaviour and Sarri’s raging response on the touchline that stole the headlines. However, speaking after the match, Sarri appeared to back-track as he suggested it was a communication issue that caused the problem. “In that situation there was a big misunderstanding,” Sarri said. “I understood there was a problem and we needed a change. I didn't find out until the doctor arrived to the bench after a few minutes. Sarri had been incandescent with rage when 24-year-old Kepa, the world’s most expensive goalkeeper, appeared to publicly challenge his authority. He repeatedly gestured at Kepa to come off, then began screaming towards his staff before finally stomping down the tunnel. He quickly returned to resume his post, but didn’t speak to Kepa before the shoot-out and had to be restrained from confronting him by Chelsea defender Antonio Rudiger. Asked why he walked down the tunnel, Sarri said: “I needed only to return to be quiet. Some pundits and fans called for Kepa to be sacked immediately after the incident. Kepa did save Leroy Sane’s penalty in the shoot-out, but Chelsea’s defeat was overshadowed by the incredible incident. It was the last thing Sarri needed as he fights to avoid the sack in a wretched first season with Chelsea. There have been several reports that Chelsea’s players have lost faith with his methods and Kepa’s behaviour only added to that perception. It had been suggested Sarri was only one defeat from the sack, but he deferred questions about his future to the Chelsea board. “I have to answer like before the match,” he said. “You have to ask the club, the same as before. “After this match I have to say that I’m sure (I have the backing of the players) because they played exactly how I asked today and I am proud of my players.